Ellen Fullman returns with another amazing recording of her Long String Instrument. Many strings are stretched across a large space and anchored in resonator boxes to amplify the sound. Her mid-’80’s invention is tuned in just intonation and played by walking along the length of the very long strings and “bowing” the instrument with rosined hands. Joining her in this event is trombonist and new music specialist Monique Buzzarté, creating atmospheric drones, lazily drifting into the great cosmic beyond. The music unfolds slowly with six compositions and/or improvisations titled Fluctuations. Both musicians are also frequent Deep Listening collaborators, who also use resonant microtonal tuning systems to explore new textures in sound. 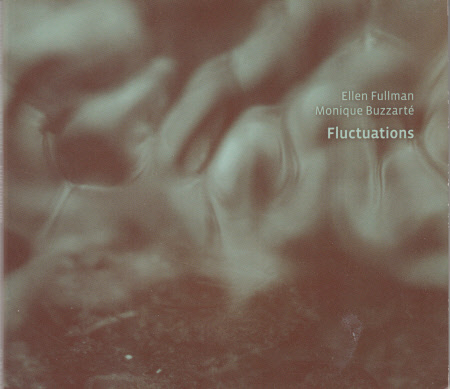 Other recordings by Ellen Fullman: Suspended Music with the Deep Listening Band, Change of Direction, and the astonishing classic Body Music. Recent recordings by Monique Buzzarté include Noah Creshevsky’s To Know and Not to Know, Holding Patterns by Zanana, Dreaming Wide Awake with the New Circle Five and John Cage’s Five3 with the Arditti Quartet.